The X-Trail is a true all-road bike. Its relaxed road geometry is designed with gravel racing in mind. It can easily handle tires of up to 40mm, with ample space built into the frame to fit mudguards. Take it straight from road to off-road. In those long, straighter sections of trails, it rides like a dream. But no matter the terrain you encounter, this bike will ensure that your ride is all about fun! 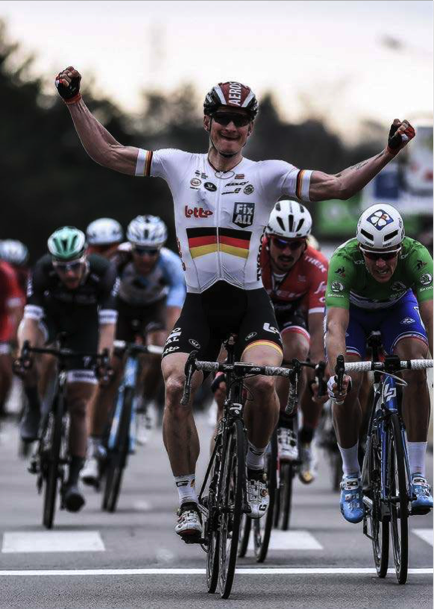 This year's Strade Bianche, was won on a Ridley, piloted by Lotto Soudal's, Tiesj Benoot. 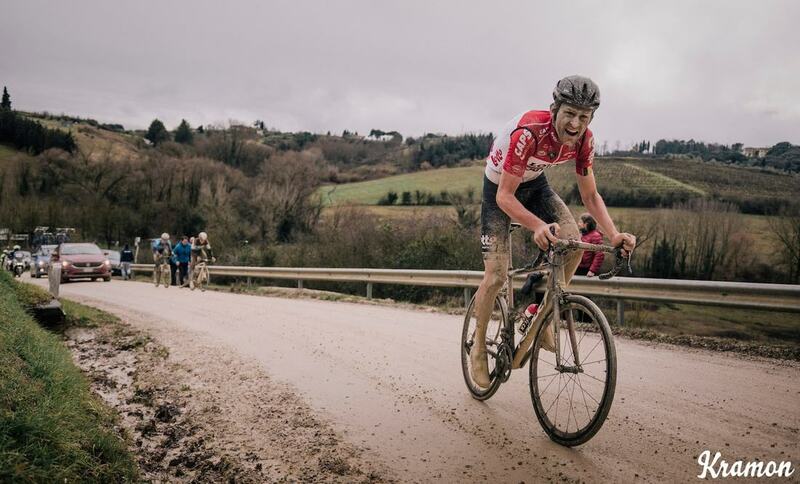 The Strade Bianche has gravel and asphalt sectors just like the Swartberg100 Gran Fondo. Victory on the cobbles of Piazza Del Campo in Sienna. Tour of Flanders! Huge crowds along the roads! Steep hills! Cobblestones! Cycling Freaks! Belgium! A life where cycling is the true center. Those are the ideal ingredients to let your passion evolve into a way of life. Ridley is based in the heart of cycling: Belgium, Flanders. Cycling classics and endless amount of kermesse races - this is the place where you learn what cycling is all about. We live cycling. We breathe cycling. That’s something you feel in every pedal stroke, in every turn, in every climb and every descent. Ridley bikes are born from this passion: Designed, meticulously painted and assembled in the heart of the world’s cycling hot spot. Rain does not stop us. The harder the wind blows, the stronger we get. Cobbles do not faze us, they only push us to go faster. Mountains are conquered, not avoided. Bikes are tools to accomplish our goals. We get them dirty and we polish them clean. Our legs speak, our mouths do not. Words are hollow, actions tell all. We are more determined and committed than those around us. We are competitive not with others but with ourselves. When we fall off, we get back on. We do not stop until we reach our goal. Ridley was founded in 1997 by Jochim Aerts. He grew up in the small town of Balen, located in Flanders, Belgium. Like many kids living in a land where cycling is such an ingrained part of its culture, Aerts had aspirations of becoming the next Merckx. Inspired by his older brother who competed at a high level as a promising youth rider, Aerts jumped in headfirst. His debut race was at the age of 14. But by the time he turned 19, he came to the realization that his dream of making a name for himself in the bike world would have to take a different path. Following his passion for the bike, Aerts took a job at Belgium-based Bio Racer. He started off as bike painter before moving onto welding. After mastering the ins and outs of bike-building, he made the bold decision to go off on his own to build his ideal bikes. His ultimate goal was to create custom bikes that perfectly fit each individual’s riding style and goals, as well reflect their unique personality. In 1990, Aerts founded his first bicycle company called NV Race Productions. They made custom bikes for local Belgian bike shops. Seven years later, in 1997, Aerts took the final step towards realising his dream by founding Ridley Bikes. He named it after his favourite English film director Ridley Scott. Since its inception, Ridley has remained at the forefront of product innovation. The company’s first bold creation was that of a tapered headtube which was introduced in 2001 on the Ridley Damocles bike model. This tapered headtube went on to become the industry standard. 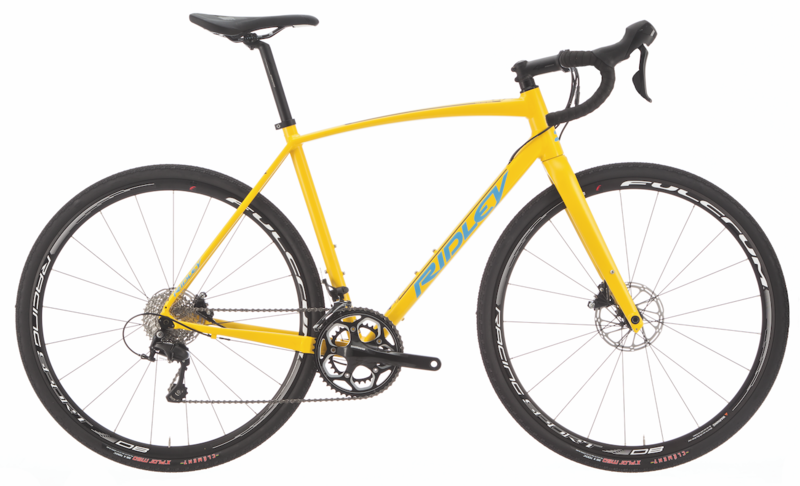 As for material innovations, Ridley has not only creatively sourced new materials to build lightweight, reliable bikes but has significantly raised the bar in the usage of these materials. Its patented FAST-technologies is cutting edge when it comes to aerodynamic advantage. FAST is inspired by nature, thoroughly tested in the lab and perfected in the field. Ridley’s innovations have been put to the ultimate test since 2002, when they first became involved in sponsoring professional cyclists. Tom Vannoppen was Ridley’s first pro. He scored a silver medal at the Cyclocross World Championships (2002 Zolder, Belgium) atop his Ridley machine. Mario de Clercq was also an early Ridley adaptor back in 2002, taking the win just ahead of Vannoppen at the World Championships that year. To date, Ridley has collected 15 world titles, one for each year since its involvement in professional sponsorship. Ridley is now a household name with top pros riding their bikes such as current European champion Marianne Vos who is ten-time world champion and two-time Olympic champion. They also have powerhouse teams such as Belgium-based Lotto-Soudal making expert use of their bikes. With Aerts’ competitive spirit, perfectionism and drive leading the charge, Ridley continues to push limits when it comes to creation and improvements. While the Ridley bikes of early years may differ from the newest models, the company’s mission remains the same – to deliver cutting-edge machines that reflect each rider’s individuality.